There have been some great films over the years to feature animals, with many of those starring horses. Most of us will have watched a movie or two where a horse plays an important role, and in many cases is the character the plot is based around. With so many of these horse-based films released over the years, let’s look at some of the most memorable and the ones well worth another watch. Black Beauty is an iconic film, which tells one of the most popular stories of all time but through the eyes of the horse himself. The movie is based on Anna Sewell’s best-selling novel which was released back in 1877, with a mixture of both cruelty and kindness thrown into the mix during the Victorian era in England. A year after the film’s release, a TV show was produced, but this didn’t follow the novel or the film’s premise. Seabiscuit, based on a true story, tells the story of a thoroughbred horse that is believed to be too small and untrainable, due to his temperament. The Great Depression has taken hold of America and a destitute horse trainer, alongside a jockey who has just lost his son and has been crippled with injuries, decide to team up to battle against all the odds with Seabiscuit, which they do to great effect. It’s a real feel good film which shows there’s always hope. In fact, according to a Unibet spokesman, it is very much a film which encapsulates everything good about horse racing. 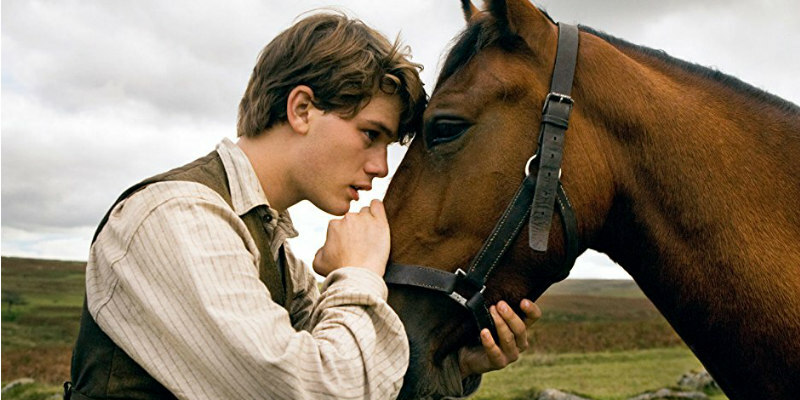 War Horse is one of the most popular horse-based films of the modern era, with Steven Spielberg helping to deliver a great adaptation of Michael Morpurgo’s book. The story centres on a boy and a horse who become separated, only to be reunited later down the line during World War 1. It’s an important movie as it depicts the role horses played during the war superbly, telling an emotive story throughout. It’s a must watch, even if it’s a bit of a tear-jerker. The Horse Whisperer is a film which is all about inspiration and positivity. Grace, a teenage horse rider is injured in a horse-riding accident, which also leaves the horse, Pilgrim, traumatised. Grace’s mother Annie doesn’t want to give up on either her daughter or Pilgrim, so she enlists the help of Tom Booker a horse whisperer. Booker sets out rehabilitating both Grace and Pilgrim, using his own brand of techniques. Dreamer is another movie inspired by a true story, this time of Mariah’s Storm who won the Breeders Cup in 1995. Horse trainer Ben and his daughter Cale see a racehorse by the name of Sonador break her leg. Cale immediately tries to persuade her father to buy Sonador and help her back to full health. Ben realises that Sonador still has the potential to compete on the track, but there are many hurdles for everyone to face before they can even dream of winning a race.